Do you want to create a separation of space between your dining room | living room and kitchen? 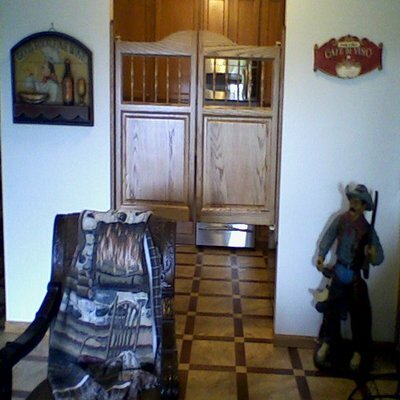 Swinging Cafe | Saloon Doors has the perfect solution for you! 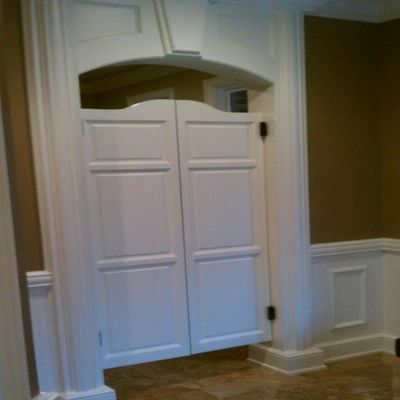 Take a look at these BEAUTIFUL KITCHEN SWING DOORS below!! 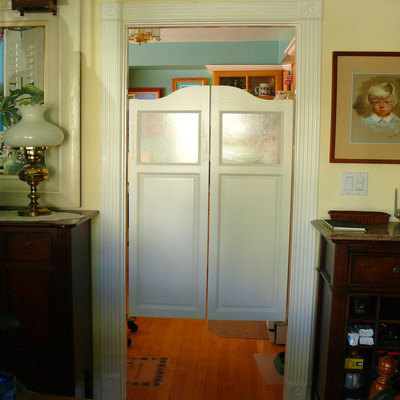 The doors look great from the kitchen or the adjacent room! 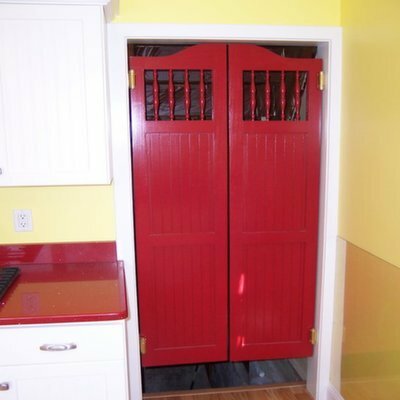 Make sure to add a cafe doors or saloon doors to your kitchen! Swinging kitchen doors provide a functional purpose to all kitchen designs, separating spaces yet allowing light, air, and conversation to flow easily between rooms. The double swing kitchen cafe doors can be shut while eating, while allowing the cook(s) or server(s) to pass back and forth easily when carrying prepared foods. The double swing doors will return to center once the person passes through, without the need to turn door knobs. These doors are perfect when having guests for dinner, as a cluttered kitchen can be hidden from view. We also offer hinges that allow the doors to be locked open, if desired. 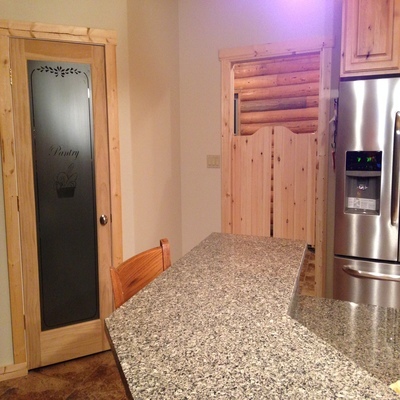 Contact us if you would like a quote on a custom kitchen doors. 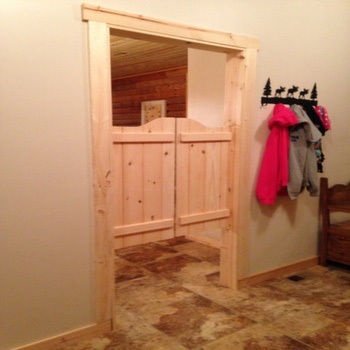 BUY NOW FULL LENGTH PINE DOORS (not pictured)!! BUY NOW FULL LENGTH LATTICE CAFE DOORS!! BUY NOW FULL LENGTH CAFE DOORS!! BUY NOW FULL LENGTH SALOON DOORS!! 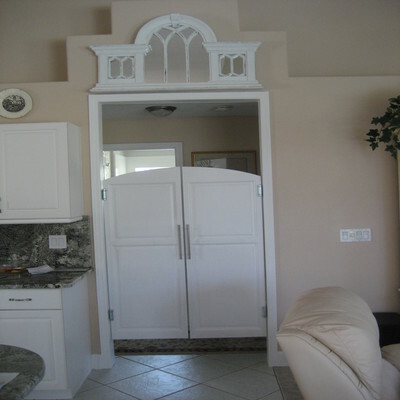 These kitchen swinging cafe doors can be made to your custom door opening size and your specified height. 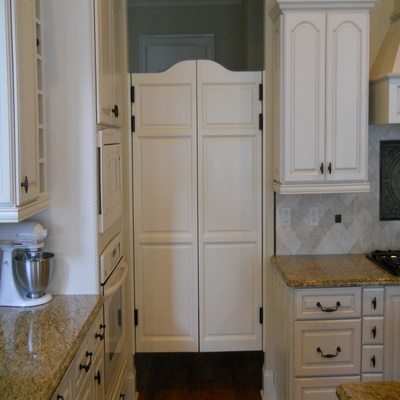 We offer a wide variety of door styles and woods to work with any kitchen budget. Our kitchen doors are Made in the USA with 100% AMERICAN hardwood. Currently we offer Oak, Cherry, Poplar, Sapele, Ash, and Pine. 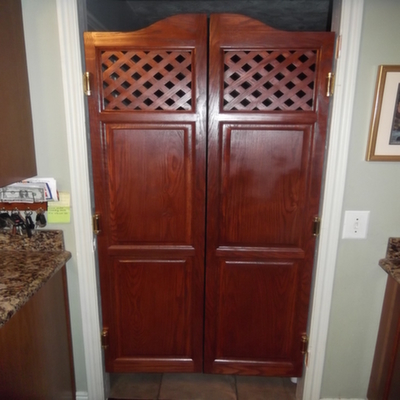 Whether you choose to have them stained, painted, or leave the natural-look, swinging kitchen doors will add a decorative element to your current kitchen. 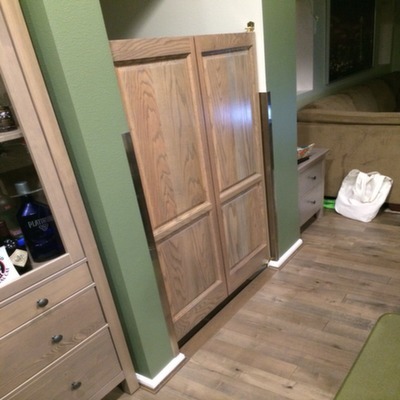 All kitchen swinging doors pictured are actual customer photos! 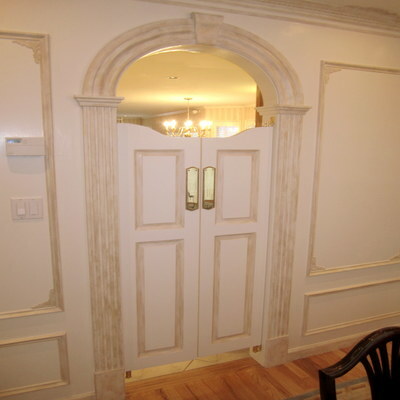 CLICK HERE to see all our customer photos. We love to see our doors swinging into action!